With Luis Suarez likely to leave Liverpool soon it has become clear Manager Brendan Rodgers will need a goal scorer to replace his most prolific forward. 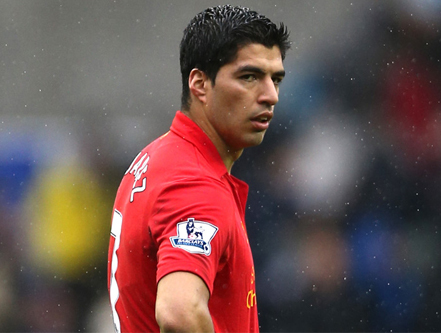 Looking at a possible £40 million transfer fee for Suarez, who could replace the controversial Uruguayan forward and fit into the Liverpool system? 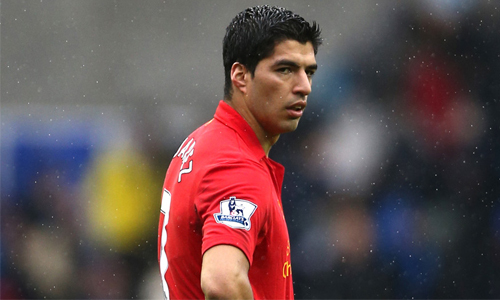 Suarez has been courted by Real Madrid in the press in recent weeks and new manager Carlo Ancelotti will look to make a marque signing to signal his intent, the marque signing may be Suarez and that means young Spanish forward Alvaro Morata could go from Real Madrid to Liverpool on loan with a future transfer. Morata is a top young Spanish forward and may find games limited at Real Madrid if Luis Suarez is to arrive. This will stutter his development, as he will need games to gain experience and confidence. Morata has been prolific for the Spanish U21 team which won the U21 European Championships in Israel this summer, scoring 4 goals in 5 games. His record for Castilla (Real Madrid B team) in Segunda Division was 12 goals in 18 games. He has a lot of promise and has shown he can cope on the bigger stage due to his performances in the summer. Theo Walcott has been in inconsistent form on the wing for Arsenal, and with the 4-2-3-1 formation which Manager Arsene Wenger likes to use, it leaves Olivier Giroud up front on his own with the attacking 3 from midfield finding the space around him. Walcott is a natural winger, but so was Thierry Henry when he first signed for the Gunners, and Walcott would give more to the team if he was given the opportunity to be the off the shoulder forward and use his pace behind the defense. Liverpool could go to a 4-4-2 or 4-2-4 to give Walcott his chance up front, and he will need a few games to prove himself, but there’s no doubt he can deliver if given the opportunity. Romelu Lukaku spent last season on loan at West Bromwich Albion and showed everyone how good he is, scoring 17 goals and creating 7 assists in 35 games in the Premier League—not bad for your first full season in the Premier League. Lukaku is a natural goal scorer and needs to be playing in a 2 up front to get the best out of him. He may find his chances at Chelsea limited and frustrating as new manager Jose Mourinho likes to rotate his players and is not afraid to drop anyone who he deems is not pulling their weight. Lukaku will always give 110%, but Mourinho likes a player that fits certain systems for certain games. Lukaku needs consistency and will struggle to find form in a rotation like any player would. If he went to Liverpool on loan, he would score more than the 17 goals he managed at WBA as he would have a partner up front and given the time to shine. Alvaro Negredo is a prolific Spanish forward and would give Liverpool the goals that Suarez provided. He is big and strong but has elegance in the box. Scoring goals has always come naturally to Negredo, and he has consistently scored double figures in his time at Seville. Negredo would come with a big price tag, but if Liverpool is looking to replace Suarez and his 35 goals, then they will have to pay a decent sum for it. The PSG show is already starting to get a little out of hand, and the money they have spent on players is a small country’s budget; but, if they have it, then why not? With the amount of money PSG have to spend it would be worth it to them to let some of the fringe players go. Kevin Gamiero is a fantastic forward and will score goals regularly if given a decent run in the team. The France International managed 25 starts last season and scored 8 goals, which is not a great return, but when you play second fiddle to a marquee signing it can be very difficult. Gamiero wouldn’t cost as much as you may think as PSG will want to start slimming the squad down so they won’t have to keep as many players happy. Those are the players which would give Liverpool fans a case of slight amnesia when it comes to remembering Luis Suarez.